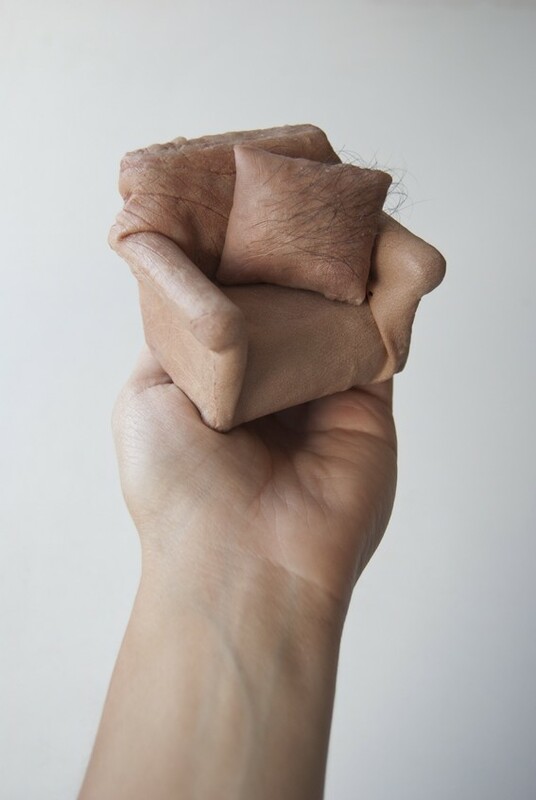 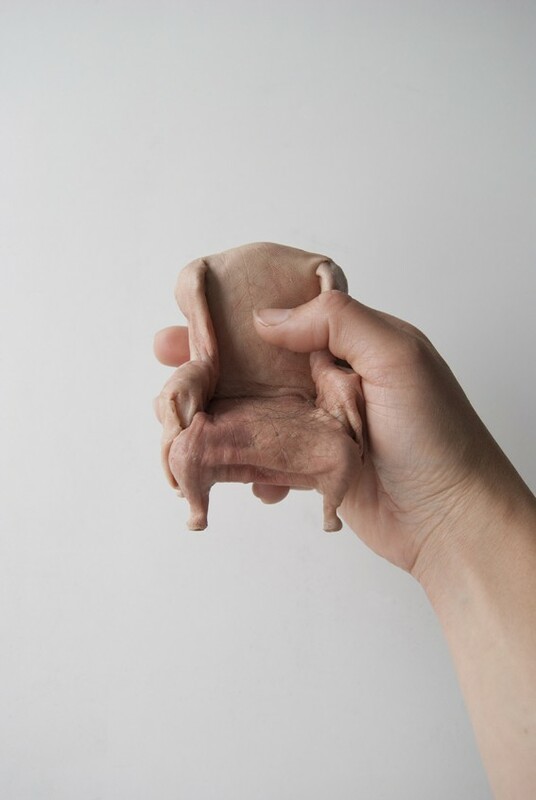 In the unsettling 2009 sculpture series “Handheld,” small models of furniture appear to be made out of human skin. 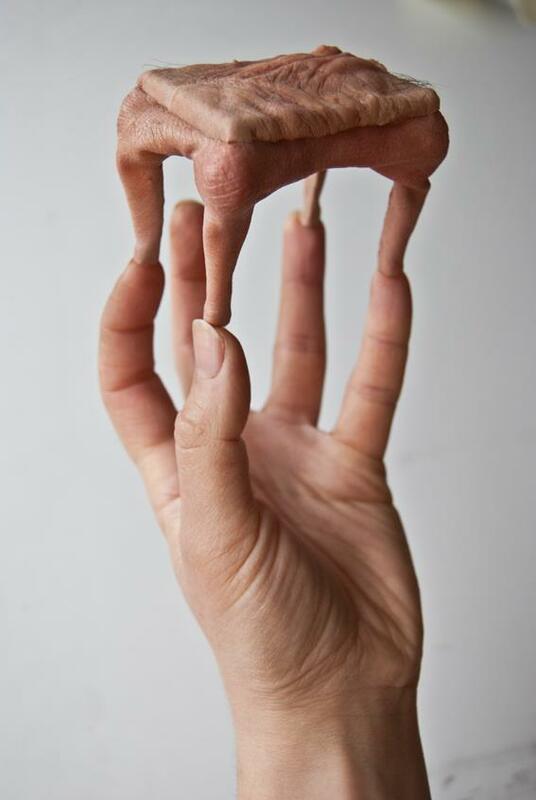 In actuality British artist Jessica Harrison created the sculptures using casts of her own hands. 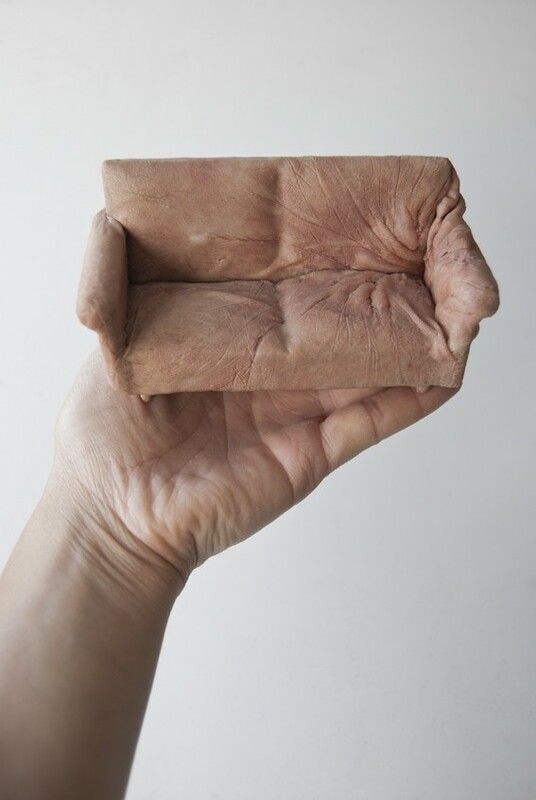 The sculptures intentionally blur the division between the human body and its environment. 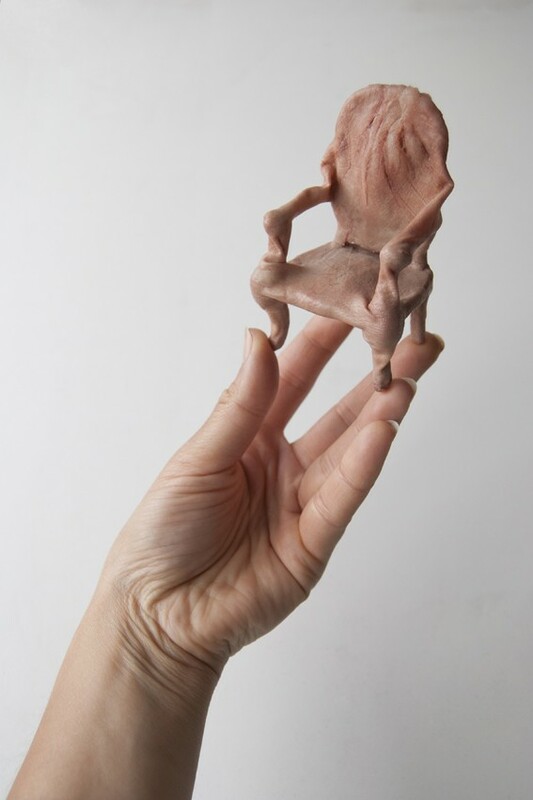 Much of her work is anatomically-themed—we previously wrote about her grisly series of zombie-like Victorian figurines.